ZeeVee has expanded its AV-over-IP Training to North America. ZeeVee launched its training program in the U.K. in 2016, and has been educating system integrators and AV installers on the new technologies available to enable IP-based media distribution solutions. The first North American training course will kick off this month in ZeeVee’s training facility at its corporate headquarters in Littleton, MA. Attendees can choose from two available dates: March 28 and 29. Additional training dates will be announced and scheduled throughout the year in cities across North America. This course can be completed in one day with attendees earning 2.5 InfoComm RUs. It covers the basics of IP as an introductory phase—covering topics such as the seven-layer OSI reference model, IP addressing, and switching technologies. The course then provides hands-on training where attendees physically interact with equipment to install, configure, and deploy a fully functional IP video distribution system. 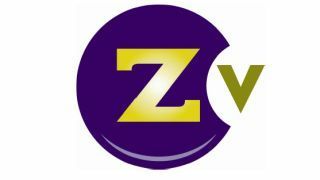 To register for ZeeVee’s AV-over-IP Training Program, go to www2.zeevee.com/bostontraining.